Five-acres have been earmarked as part of phase one of the restoration project. 5-acres have been earmarked as part of phase one of the restoration project. 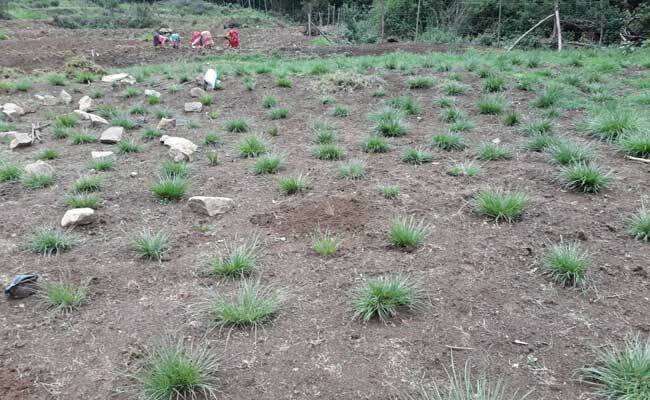 Chennai: In a bid to fight drought in the hill resort of Ooty, the 161-year-old Lawrence School in the city's Lovedale region has launched a restoration project which could potentially replace invasive, water thirsty plants with grasslands over its 750 acre estate. In collaboration with present students, the school's class of 1981 removed shrubs on a one-acre patch and replaced them by the native tussock grasses, handpicked and raised by experts at a cost of Rs 10 lakh. "We want to make Lawrence School the first centre of excellence for eco-restoration," said Ajit Mathai, an alumnus. They also mapped the original areas where grasslands existed. The grasslands have roots that are upto 10 feet deep, which function as sponges and hold large quantities of water and release them throughout the year. Experts say this would revive hundreds of perennial streams and the local reservoir that have gone dry over the years. Ecologist Godwin Vasanth Bosco, who has been engaged for the mission, said it would take upto six months for the grassland to become independent. "The forest department ought to give permission to systematically remove around 5000 exotic trees and replace them with shola grasslands and trees," said another alumnus Tarun Chhabra. "Officials are cooperative and understanding looking at the larger picture," he added. The project could be replicated in Tamil Nadu's Kodaikanal as well as Palani hills, based on the success of the project. On Tuesday President Pranab Mukherjee who was at Lawrence for the Annual Founder's Day gave a clump of grass as green award.